This one-of-a-kind art glass award is hand-blown and formed. 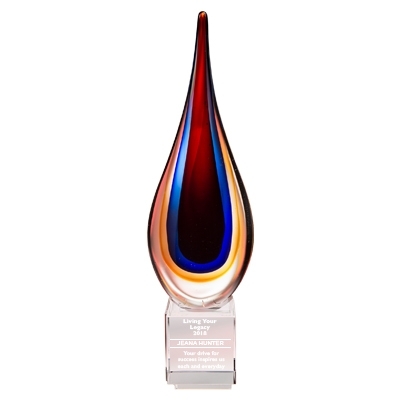 The brilliantly colored glass teardrop is elevated on an optic crystal base with ample room for your message and/or logo. Each piece is unique. Available in 2 sizes.